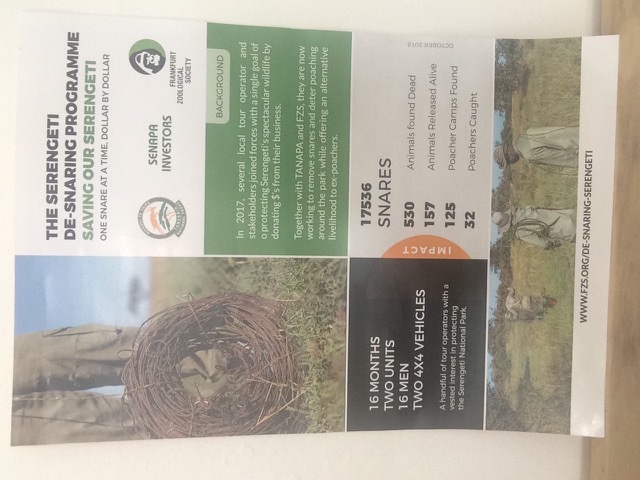 This Saturday, to commemorate Mwalimu Nyerere Day in Tanzania, Nomad was invited to attend a presentation on the FZS de-snaring program and hear all their latest news. Over the last few months, now with two units, the program has been targeting northern Serengeti. In August and September they collected astonishing 6617 snares on 97 patrol days! The total number of snares collected since the de-snaring program started 16 months ago is now at 17536 snares. 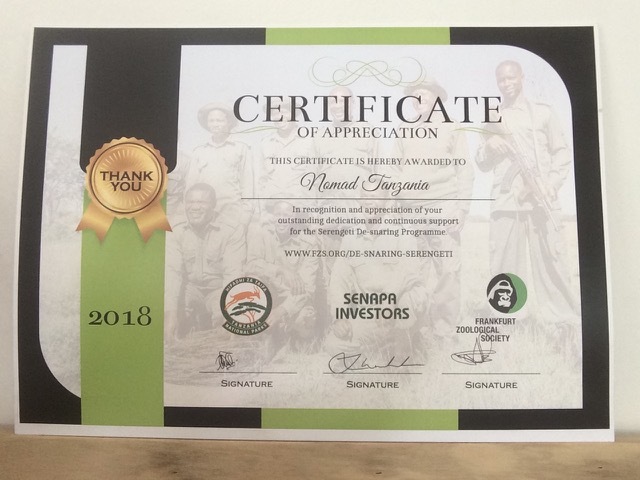 Nomad Tanzania was aslo recognised during the event this weekend for our ongoing contribution and support of this essential program in the Serengeti.